Axioms family of network server adapters provide a wide-range of solutions to boost network performance and improve IT flexibility. Available band-widths range from 100Mbs to 10Gbs on interfaces ranging from 32-Bit PCI to PCIe x8. 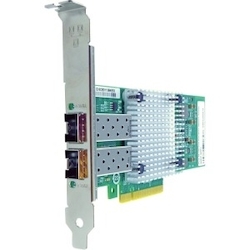 Each adapter provides standard connector options from single port, dual port, quad ports in copper and/or fiber-based connections.